Bet Jon Jones to beat Alexander Gustafsson at -275 with 888Sport. Bet Jones to win by decision at +225 with Karamba. Bet there will be a timeout in the fight at +100 with Betfair. On Saturday night at UFC 232 at The Forum in Inglewood, Calif., Jon Jones makes his long-awaited return to the UFC, when he will once again be challenging for the light heavyweight title, this time against Alexander Gustafsson. It’s card that was recently thrown into turmoil when Jones tested positive for residual prohibited substances in his system, causing the entire event to be moved from Las Vegas on just a few days’ notice. But controversy sells Pay-Per-Views and UFC 232 is now the biggest non-Conor McGregor event of the year and the last chance MMA betting fans will have to cash in before 2019, coming right after the much-anticipated Cyborg-Nunes fight. We discussed the background of this fight when it was first announced, which you should definitely go read if you haven’t already, but in short: Jones and Gustafsson have fought once before, in the 2013 Fight of the Year. Since then, both men’s careers have been troubled by setbacks, Jones’ legal, Gustafsson’s medical. Now they finally meet again, with everything on the line. Boasting an enormous 6-foot-4 frame and ludicrous 8-inch reach, Jones has physical tools that would make him a nightmare to fight even if he didn’t know how to fight. Unfortunately for his opponents, Jones most certainly does know how to fight and is highly adept fighting at all ranges and in all phases of the game. Gustafsson is a brilliant fighter in his own right. Equally as enormous as Jones, Gustafsson is nearly as skilled. On the feet, Gustafsson prefers to pair his length with movement, working in combination as opposed to Jones’ preference for distance management and single strikes. He’s no slouch on the ground either and, more importantly, has proven to be an incredibly adept wrestler. Though he lacks a serious wrestling pedigree, Gustafsson is a master of timing his shots, a skill that let him take down two-time Olympian Daniel Cormier multiple times. It’s a skill he will need in his rematch with Jones. Though Cormier will always be seen as the main rival to Jones, Gustafsson is the one who can pose the greatest threat to The Man Who Would Be GOAT based purely off his physical tools. It sounds simplistic, but having the length to be on even ground with Jones standing is incredibly important for facing him. In their rematch, Cormier was forced wade through a minefield of punishment to pressure Jones, and while it had success, it also wore him down and opened up the fight ending head kick. Gustafsson won’t face those same issues and can instead spend large parts of the fight boxing with Jones, still the weakest part of Jones’ game. In their first fight, that gave Jones trouble and almost authored the upset and it’s still Gustafsson’s best avenue to victory here. But therein lies the problem. Gustafsson fought an incredible fight last time, with an excellent game plan, and still came up short. Jones has now had months -- years really -- to assess that bout and adapt - and no one adapts better than Jones, which means Gustafsson is destined to come up short once again. When I looked at the fight earlier this year, Jones was about a three-to-one favorite and I believed he would close around five to one -- after all, Jones had closed at nearly a -1000 favorite for their first fight. Instead, the public has bet Jones down to -275 at 888Sport. with the comeback on Gustafsson at +200. Jones at -305 was good value so if that price continues to drop, the bet is only getting better. For the prop bettors out there, the UFC 232 main event offers some interesting lines as well. Jones is +225 by decision at Karamba, and outside of the KO of Daniel Cormier that was overturned, Jones has not stopped a fight since 2013. Akin to Georges St-Pierre, Jones is able to dominate opponents without chasing a finish, which has allowed fighters to stay in against him for the full 25 minutes. Unless Gustafsson really starts throwing caution to the wind down the stretch, he is a good enough fighter to see the judge’s cards once again, so getting Jones as plus money is fantastic. But perhaps the best bet from the entire fight is the There Will Be A Timeout In The Fight prop at +100 from BetFair. ; 25 minutes is a long time for two fighters to compete without some slip up, especially when one of those fighters is Jones. In Jones’ 18 fights in the UFC, he has committed 19 fouls and built up a reputation as an egregious eye poker. 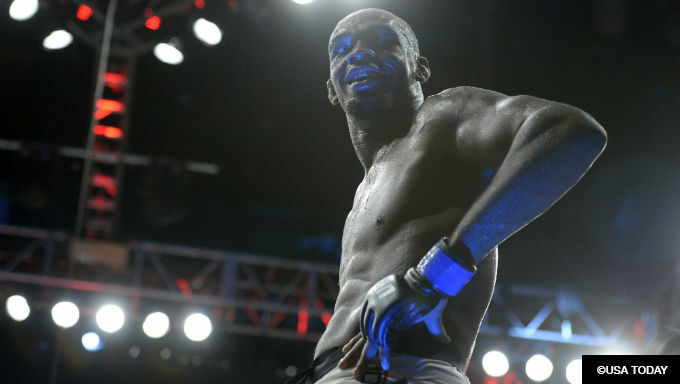 It is hard to believe that coming off a 17-month layoff, Jones will be sharper and less foul prone than ever before. Plus money on that prop is a belated Christmas gift.